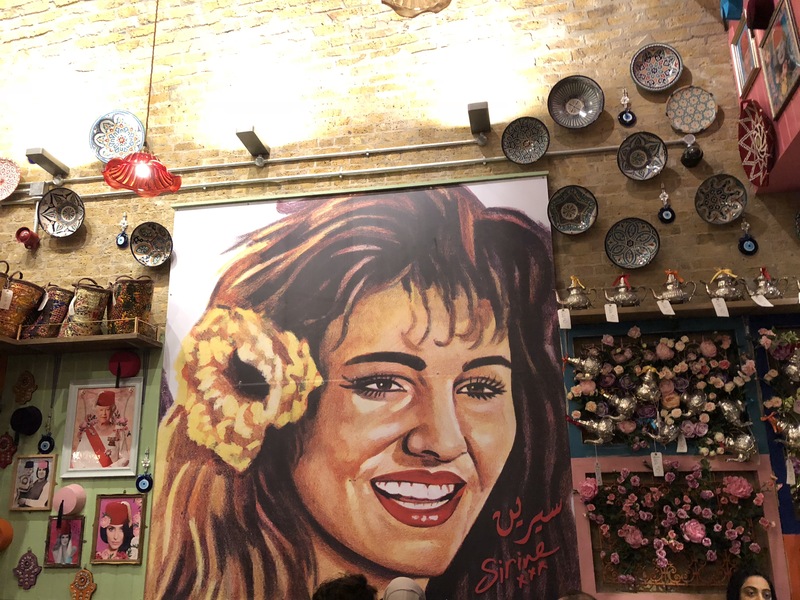 For the perfect blend of Lebanese food, culture and of course cocktails, look no further than the beautifully designed Comptoir Libanais which opened at London Bridge in December – Could this be London’s most instagrammable restaurant? 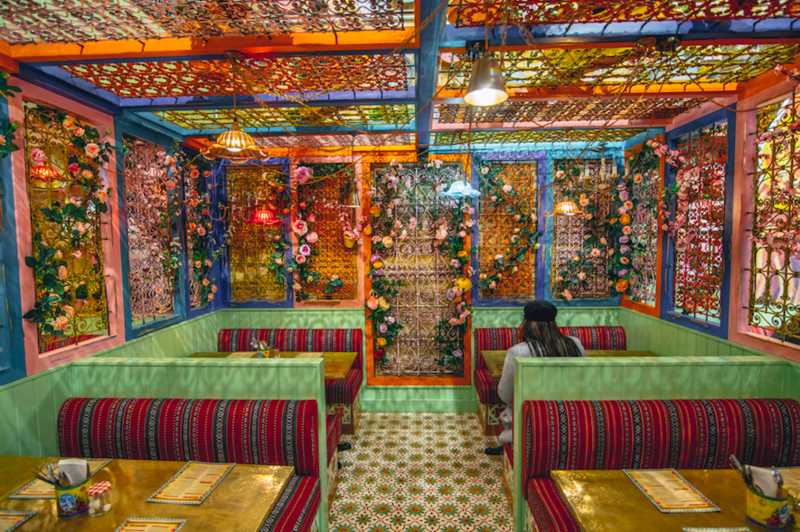 The interior decor is jaw-droppingly beautiful with swirls of pretty pastels, delicate furnishings, florals, painted plates, fez hats and vintage pieces. 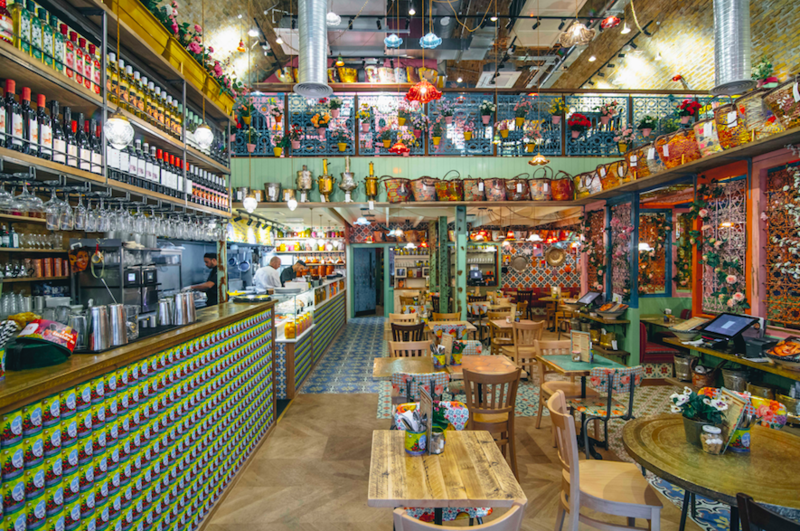 Grab a harissa dusted Margarita from the bar and be swept away to the Middle East where the souk market feel is totally authentic – given that Comptoir Libanais also has a market within the restaurant selling those hard-to-find ingredients so you can re-create your own authentic Lebanese dishes at home. The food is delicious. Go totally overboard and order more dishes than you can possibly fit on your table for a true taste of the menu. Lebanese starters really get the taste buds going in every sense as there’s so many different textures and spices. Begin with Lamb Kibbeh parcels (£6.25 for three) packed full of spiced minced lamb, pine nuts and onion – further enhanced (and cooled) by the mint yoghurt sauce. Try the Tabbouleh Mezze Salad as a great accompaniment to this – it’s a quinoa based dish with chopped parsley, tomatoes, mint and onions and a lemon and olive oil dressing which tastes soooo good and soooo fresh – great for cleansing the palate in-between spicy starters. 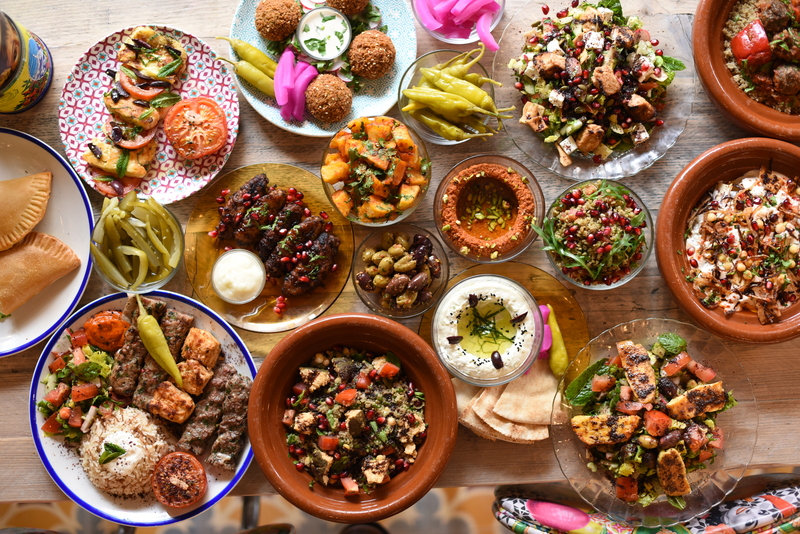 We’d also recommend the hearty Mezze Platter if you can manage it. At £9.95 for one (and that’s probably all you need), you get a delicious combo of hummus, baba ghanuj (mashed aubergine), more tabbouleh, falafel, beetroot labne – that bright pink yoghurty looking sauce which just tastes insane with warm, fresh flatbreads, and cheese samoussek (stuffed cheese pastries). When it comes to mains, you of course have to go for meat! If there’s one thing Lebanese food is famous for, it’s their ability to pack ridiculous amounts of flavour into succulent juicy koftas and kebabs. We loved the juicy spiced lamb kofta (£11.95), grilled with herbs, onions and spices. The Mixed Grill (£14.50) is also a great shout – especially if you’re sharing with someone who actually likes to share instead of stealing all the good stuff! With this selection, you’ll get to sample lamb, chicken kofta and chicken taouk on skewers which burst with lemon and garlic lusciousness. 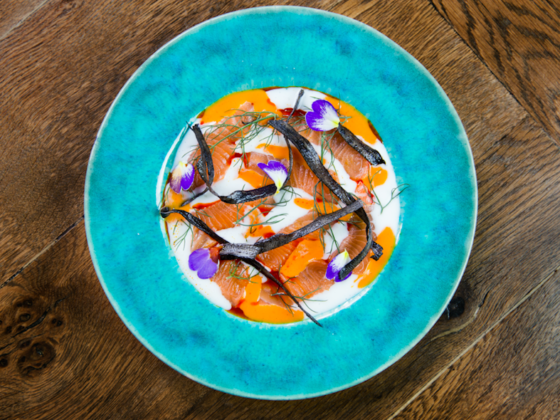 Click here to book and here to view the menu.